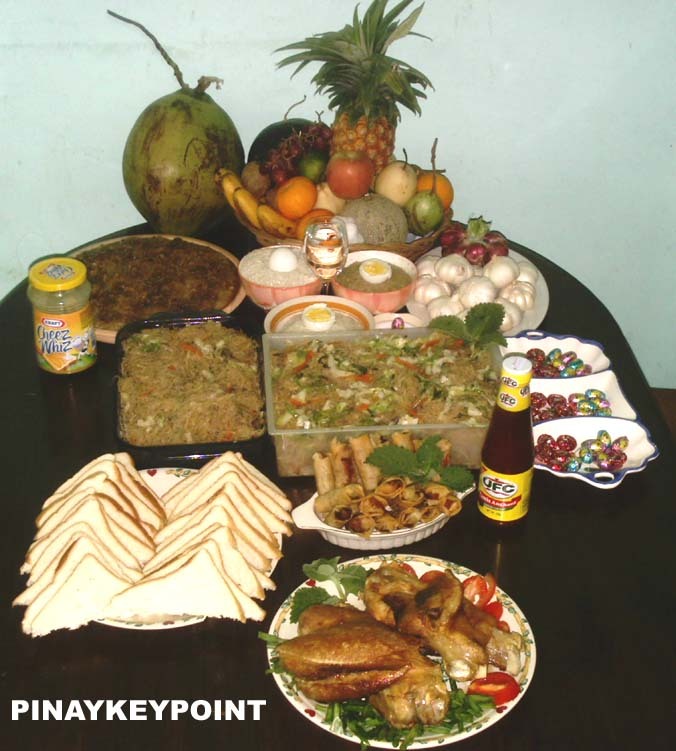 These are the tags and awards received by Pinaykeypoint Blog. This maybe late, sorry guys January is a busy month for us but from the bottom of my heart, I want to extend my sincere thanks to my blogger friends who never fail to tag me, I love you guys! Instructions This is a prayer tag and link for the Philippines and the Filipinos. You are enjoined to utter this prayer for nine (9) consecutive days and to tag as many bloggers as you can with preference for Filipinos. But only bona fide Filipinos shall be included in the official registry of Filipino bloggers in this blog. Each time a new blogger makes a link, be sure to send me an email of the entire link through melalarilla@gmail.com so that the official list will be consolidated in a master list in this blog. For our Muslim brothers, you may make your own special prayer formula but you must never deviate from the formula of this entire post. 24. 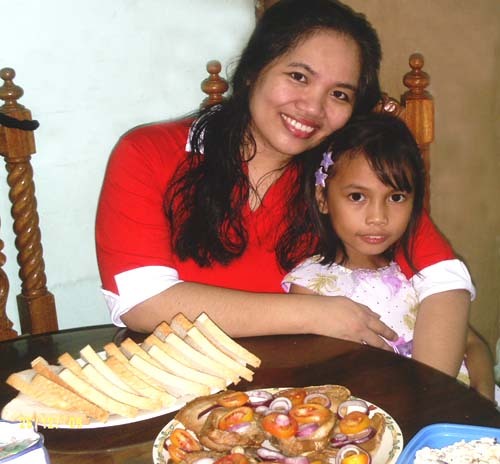 Mauie Flores – Cainta, Rizal, Philippines – Living a Sugar-free Sweet Life! 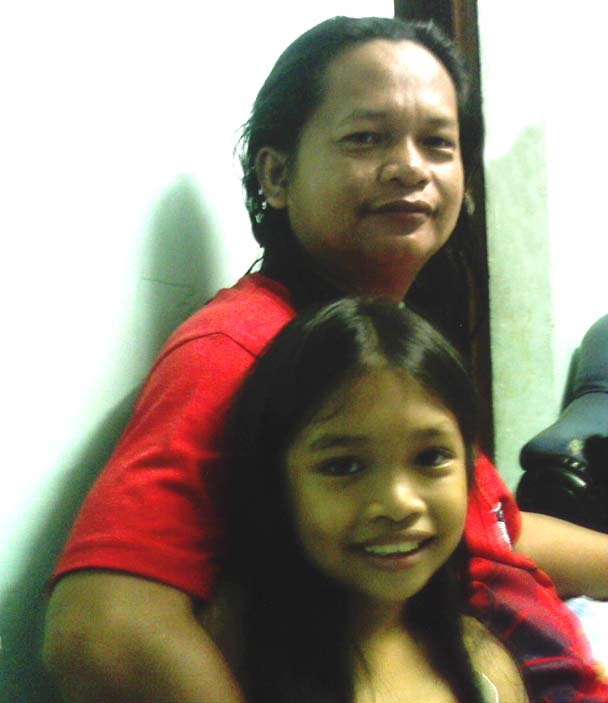 82.Jhay Gamba – Cainta, Rizal, Philippines – I Blog Mo! 118. 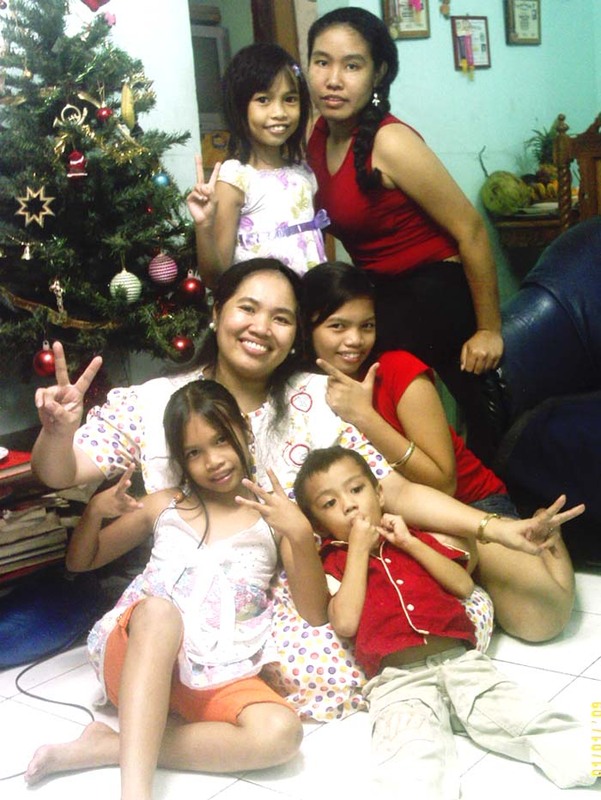 Chyng Reyes – Manila, Philippines – No Spam, No Virus, No Kiddin’! 1. Tokyo Disneyland – I’ve been in this place when I was sent to Japan twice for company training. I really enjoyed the place and I wish I could take my kids to visit this place. 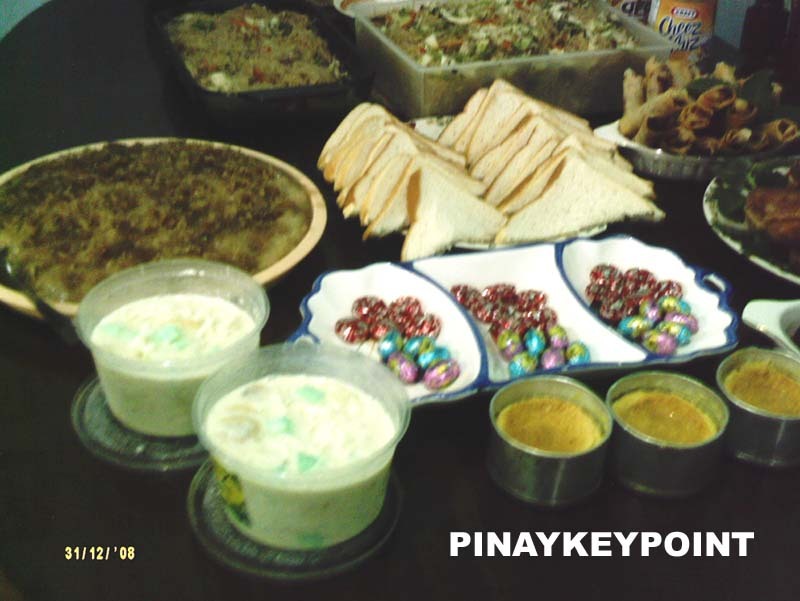 Filipinos usually starts welcoming Christmas at the knock of “Ber” months. As early as September, you will hear Christmas songs played on the radios and I myself started to decorate our house with Christmas Tree last October. But it’s better late than never, so I have to post all the activities we had before Christmas time and after New year. 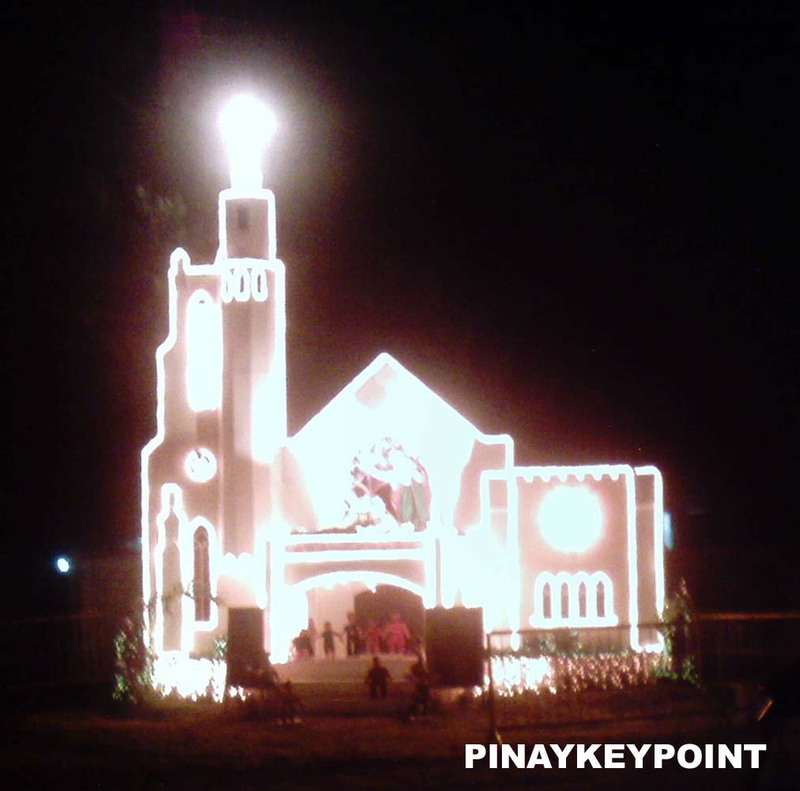 We’re off to church for the Misa de Gallo where we have to attend the early mass at 4am. Morning masses lasted for 9 days and it is believed and also part of Filipino traditions that a person who completed 9 days mass will have their wishes. Some church celebrates mass before the break of dawn at 4 o’ clock in the morning while other celebrates mass at 7, 8 or 9 o’ clock in the evening. 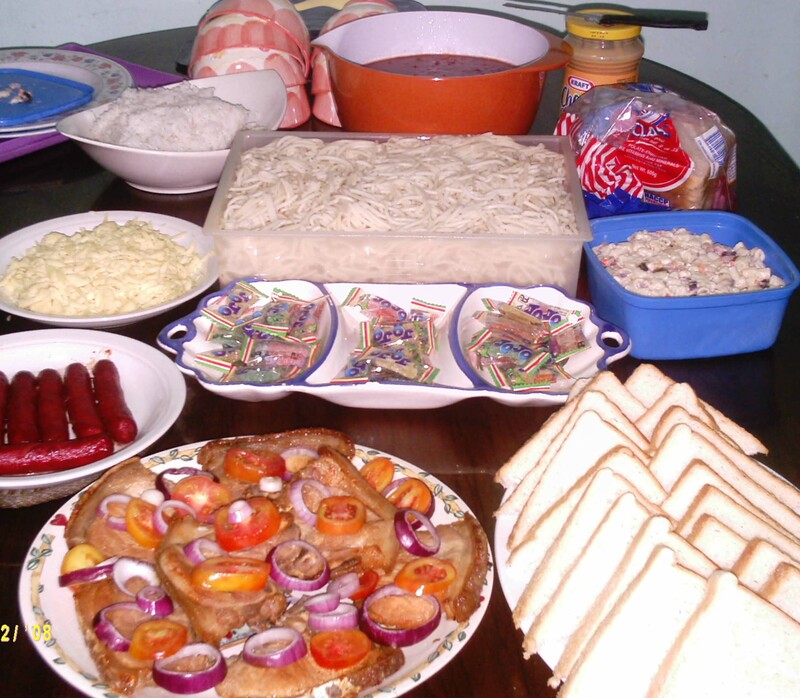 It is also a common tradition for Pinoys to buy native Filipino foods such as malagkit, suman, bibingka, ibos, puto etc… after the morning mass. It’s one of the project of our present local officials. 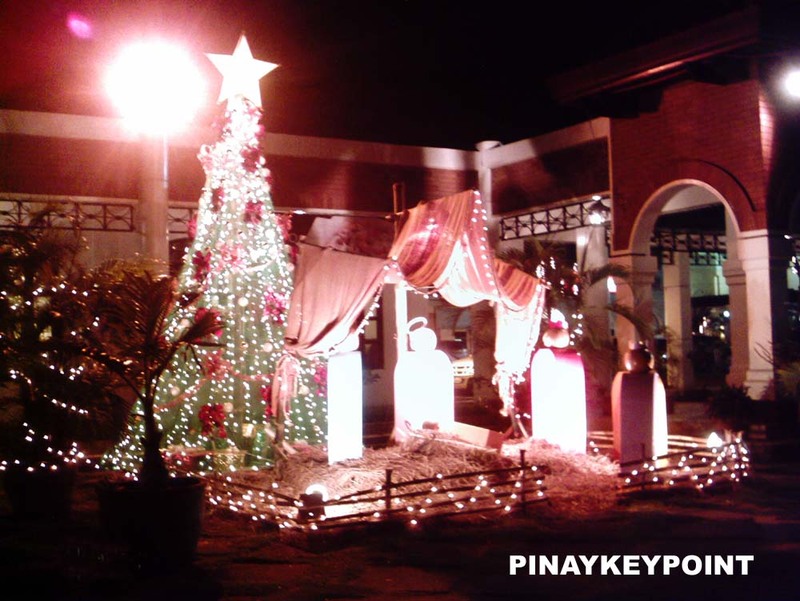 This was conceptualized by Tarlac Heritage Foundation President Isabel Cojuangco-Suntay aiming to make the province of Tarlac as “Belen capital” of the Philippines. 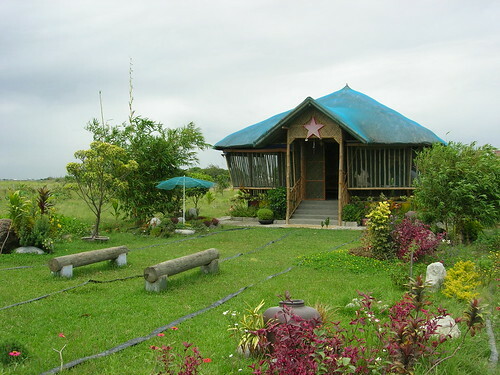 It was launched in 2007 and since then, it becomes a yearly activity for Tarlaquenos which is actively participated by different Barangays, municipalities, institutions and local organization from different sectors and local businesess of Tarlac. 16 Belens won from different categories out of 78 entries. Categories includes personal, grand, monumental, municipal and diorama. The Nolcom authorities temporarily stopped their daily demolition rounds campaign, maybe for the sake of Christmas but nailed this poster at our Barangay main entrance. At present, they never resume the usual rounds of military jeep anouncing demolition. The last update was prior to Christmas, Zone President announced that we will expect the release of Temporary Restraining Order (TRO) on January 27, 2009 and we are hopeful that it would be released earlier. There were many activities in the city. 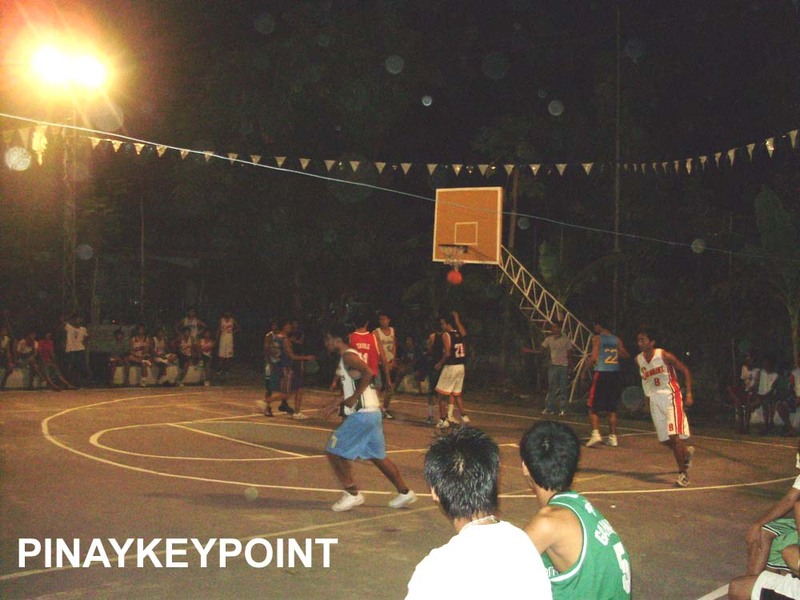 Barangay Basketball league, was participated by different basketball teams from different Barangays. Hub coaches one of the basketball team. The overall winner was Barangay Texas. Carolers were everywhere, kids, teens, adults & beggars. Some houses who don’t have an extra money for carolers will just put off their lights early. But since I am running a gaming homebiz (PC & Video), and most of my customers are children and teens, I have to allocate coins for them but the good thing about it is that it would go back in my pocket as they would be back playing the next day. Prior to Christmas time, my kids were busy preparing for their school Christmas party and exchange gifts so as a mom, I have so many things to do which makes me so busy such as buying clothes, gifts, school projects etc… etc… not to mention my printing jobs which requires most of my time. My day starts and ends at the kitchen lolz! 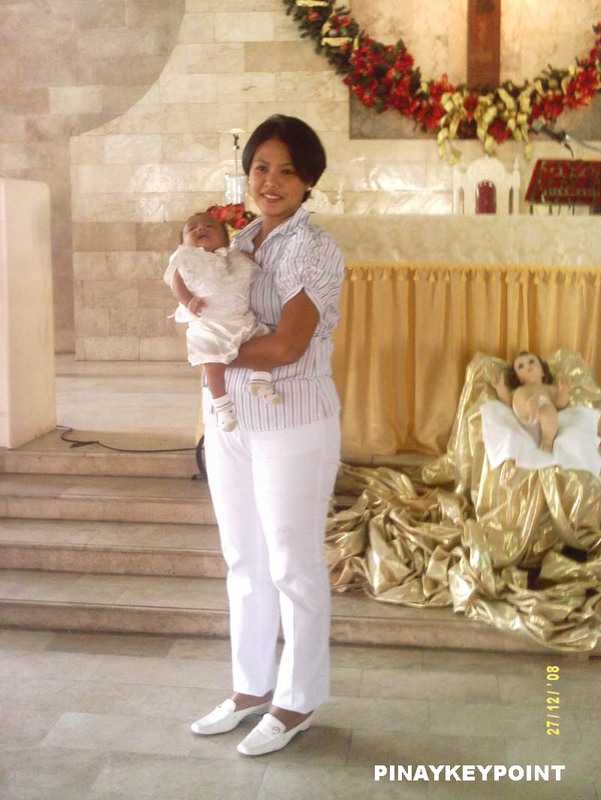 Dec 27, 2008 – Happy Christening Baby Jed!! Once again, our day starts and ends at the kitchen but this time Hub did most of the cooking 🙂 Another Filipino tradition, we have to prepare 12 fruits on our table, 1 bowl of rice, salt and water and malagkit with egg on top. My mother in-law is doing this yearly and now that she’s gone, we decided to follow her tradition. We were roaming the market to complete the list of fruits. 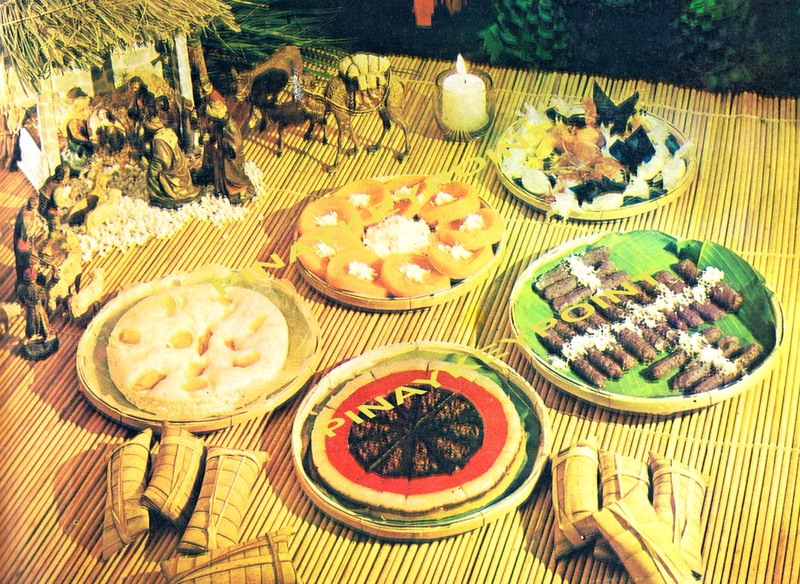 We had grapes, apple, watermelon, melon fruit, oranges, kaimito, pineapple, banana, pears, chico, ponkan and buko (young coconut). 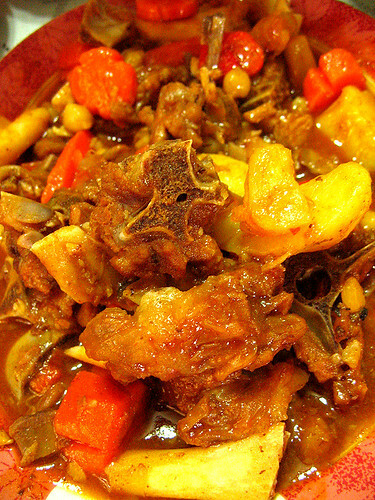 Hub added garlic and onions this time. Yummy desserts 🙂 Kainan na!! For safety, we never use any firecracker this year. It’s also part of saving our budget so instead of firecrackers, we played Christmas songs and videoke. Childrens are playing videos till dawn and we gave it for free until the next day. We’re all full lolz!! 🙂 look at the tummy haha!! Final Pose 🙂 Happy New Year to all of you!! The magic of “Ber” has passed and now we’re welcoming the New year with hope & gladness in our hearts. Happy New Year to all of you guys. May this year brings more blessings to all of us. Cheers!! I have many inquiries here about online earnings. I reviewed my posts and I noticed that I don’t really have detailed information about making money online aside from the post for oDesk. As promised to Chelle and my other readers who were asking me bout this topic. Do you really earn from this affiliate and all this writing stuffs? How much range of income do u get from this? Is working online really true? Can you recommend some reliable site? I assure you guys, earning online is real. I am earning decent money which keep me get going, in fact almost 50% of our income comes from my work online and 50% from my home based business. Of course these earnings doesn’t make me rich yet but it sustain our expenses, at least my phone bills, ISP, electric, water, mobile and other household bills and expenses are covered with my earnings. Although we still have to work hard because we have a big family. 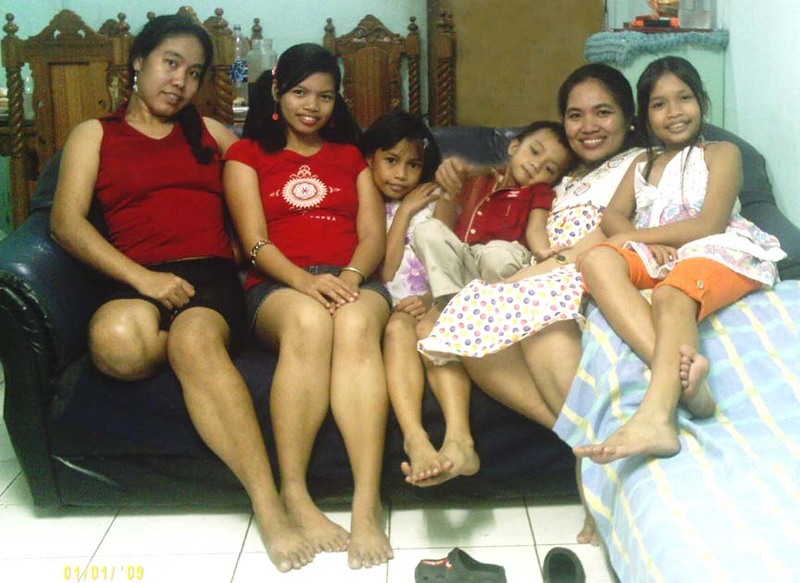 I have 4 kids, my eldest daughter is a junior high, 2 grade school, 1 niece in college and my youngest son. That makes us 7 members of the family including 2 dogs and 1 guinea pig. oDesk is a website both for hiring companies and job providers. As a company, you can hire freelancers or even companies who are providing this kind of service. It can be fixed job or hourly work. Payment is escrowed for hourly job, meaning the hiring company has to pay oDesk and after work completion, oDesk will pay the work provider. 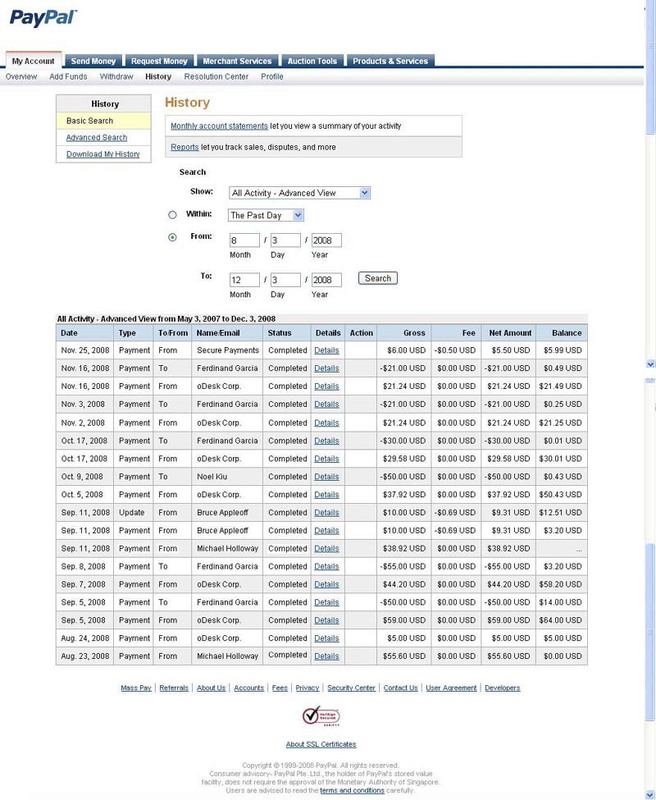 oDesk has tools to measure hourly work. A special program has to be installed in your PC. On the other hand, fixed job is different. The money is not escrowed and it depends on the hiring company and the work provider’s agreement how they will settle for the payment. It must me through oDesk or Paypal. Fill up the necessary information. Make your profile 100% finished. Take and pass oDesk readiness Test (90% passing). Just review the TOS & FAQ. Take English proficiency exam at oDesk and other website which offer this type of service. I took my English Proficiency exam here. Link your blog. Companies are looking for real writers and your blog will be the most effective sample of your work. After passing the exam, you will be notified that you’re already a verified oDesk provider. You are now ready to bid for jobs. Just click, find job tab and you will be presented with many job opportunities. Select a category at the left side bar. Choose jobs which suits your skills then click apply. The company usually asks you to send your CV and link to your portfolio. Orie has some detailed suggestion in my comment box. Click here. After your first project with oDesk, share your experience by posting it in your blog. Don’t forget to link that blog at oDesk by tagging it. You know why, they are looking for those posts and once you are selected, you will receive an oDesk Tshirt. 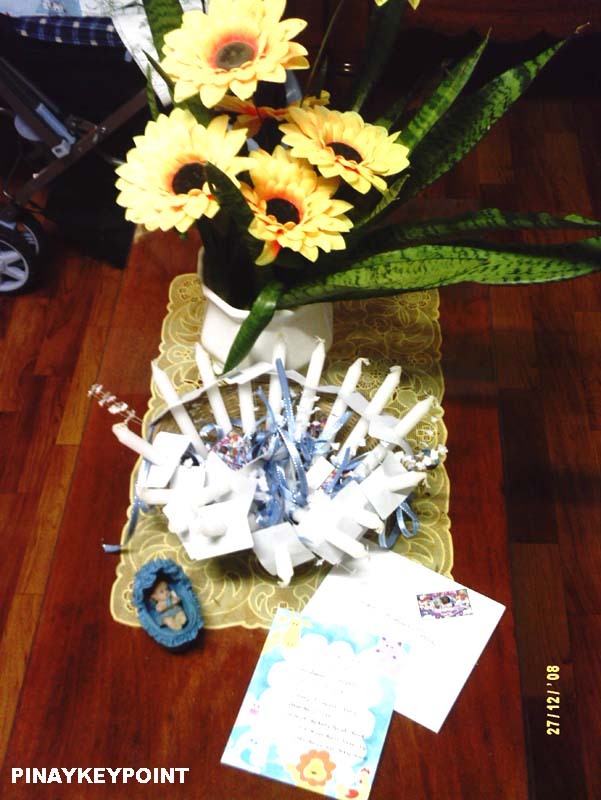 I received mine last September and oDesk featured my blog on their September Newsletter. 2. I became a regular quiz writer of Devbook.com through oDesk. I am writing quizzes for devbook using Redwarrior as my pen name. That is why I have a fun quiz page. These quizzes are posted at boredquiz.com. One of my quiz which is a naruto quiz is now an all-time top quiz taken by more than 150 thousand quiz takers. You can see the link here. Devbook is paying me through oDesk and PayPal. 3. 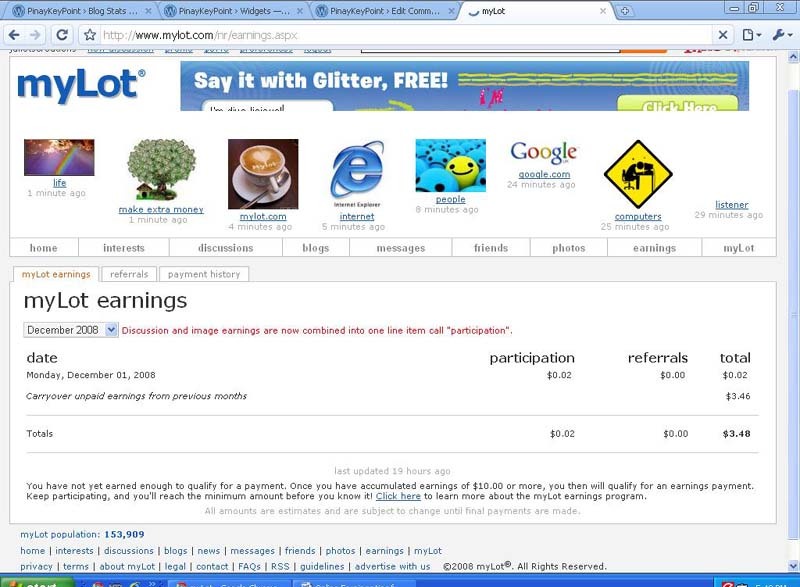 MyLot – I am also earning from this website. This is a social networking site which will pay you by posting and replying to discussions. If you spend long hours online, you can allocate sometime here and you will earn although don’t expect high earnings because it will be based on the quality content of your posts. Minimum pay out is $10 through PayPal. You will earn through referral and posting. Please click here to register under me. 4. Commission Junction – you can get advertisement offers through this site. They will pay you through check. 7. PayPerPost – This is also a good site for paid blogging. I also tried joining PTCs but the earnings is so slow and it eats my time so I won’t recommend it. Paid blogging and article writing is still the best way to earn online. Create your portfolio. If you are a writer, post your samples. If you are a web designer, post the links to your finished works. If you’re a graphic designer, upload and post your sample designs, layout or Logos and it would be best if you post a link to your past projects. Create a blog where you can show your writing expertise. Post your ads. Remember every click on your ads will earn you a dollar. Post your referral links. Note that every person who click your referral link and sign up under you will be added to your earnings. AW Surveys.com pays $1.25 for every referral. Just imagine, if 100 people signed up under you, that would be $125. But take note, those must be active members. So guys that’s my tips on how to start working online. 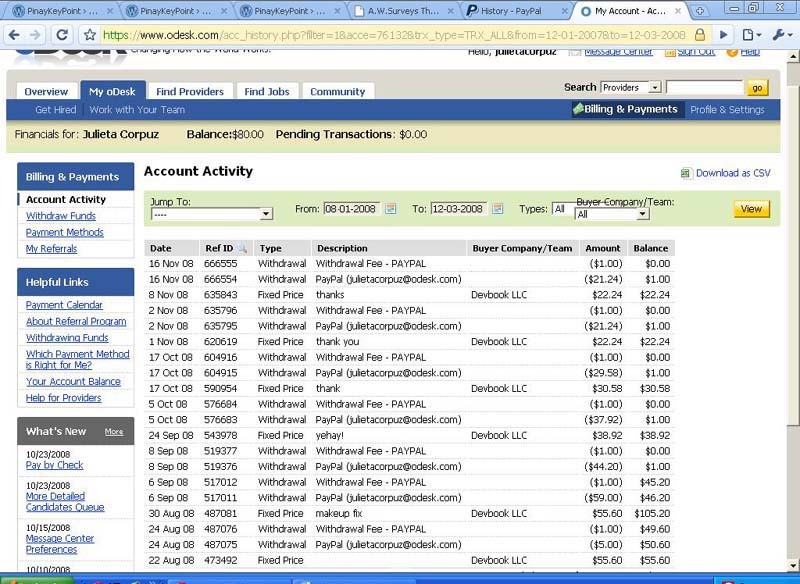 Regarding the proof of payment, ok, this is a screenshot of my PayPal and oDesk transactions. Just click the pics to enlarge images. And another thing, you must sign up for a PayPal account, I have post here about that topic. Click here to read. Remember also that you have to work on your traffic by joining social community sites like MyBlogLog, BlogCatalog, Facebook, Orkut, Friendster and MySpace. Check what will work for you. Add friends and visit and comment on their blogs and you will see that they will do the same. Add widgets and post your banners. I hope this post will help you on how to start earning online. These earnings doesn’t make me rich yet but with strategies and the will to find other reliable earning opportunities, I know it will paid off. If you can recommend moneymaking sites, please post it. If you have questions, please feel free to post your comments. 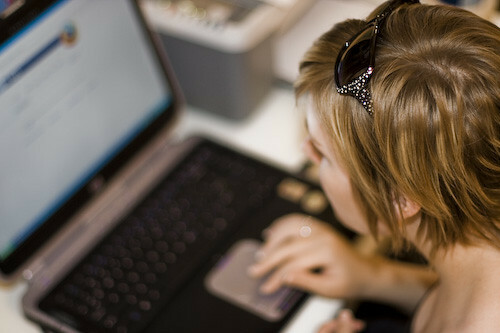 Just Like blogging, Forums are one of the most visited sites in the internet. I usually visit forum sites and read threads and discussions of my desired topics. Sometimes in the past, I need an immediate fund, I want to withdraw money from my PayPal account without having to wait for 5 to 7 working days. I Google the keyword Paypal to Gcash or PayPal to Smart Money and a thread from Pinoymoneytalk forum leads me to a thread about PayManila and so my problem was immediately solved. This is one of the positive effects of forums. This is a screenshot of the original thread. Click this for larger view. This is the screenshot of the message I sent to the moderator. Click this for a larger view. I knew that Edz was taking this matter seriously and to pacify him, I informed him that I already send a complaint letter to the moderator to clear the matter. The following day, I checked the site and noticed that they already removed Edz private information. I also received a message of apology from the Admin/moderator. If you will notice, he has quoted a red line which states that they cannot monitor the forum. This is a clear alibi. Hey Mr. AED, if you will notice the screenshot of the post, it says 2 thanks from Reuben and AED. And look after you removed Edz site info, the 2 thanks turn into 1 thanks and your name is gone? What happen? You also participated in that thread and you just removed your comments, may I know for what reason? To make your excuse real? that you are not participating in that thread? I won’t buy your alibi mister because I click your name in your comment that’s why I get to your profile to send you a private message. Masyado ka tuloy obvious. You yourself enjoyed the thread and maybe very happy for the active response and traffics and remember you’re doing that at the expense of Edz reputation. And to you Mr. Shiangtao, be man or woman enough to reveal your own info before posting other people’s info and don’t be so lame pathetic. Try to post some decent topic out from your own brains and stop quoting from other people’s comments. It makes you a stupid, talkative nonsense poster who wants to be famous by degrading others. Wag kang intrimitido! haha! talaga lang ha? sure ka kaya mong gawin yan? Sige uwi ka dito sa Tarlac sabihin mo address mo at pupuntahan ka namin ni Edz. Subukan nga namin kong kaya mo nga syang bugbugin. Pare yung yabang ginagawa yan di sinasabi. Dahan dahan lang tau sa pagsasalita kc di naman natin kilala yung mga taong pinagsasabihan natin eh. This is really a gross stupidity on the rise 🙂 nakakahiya. This post is an update regarding the demolition problem at Zone A, B & C San Miguel, Tarlac City. 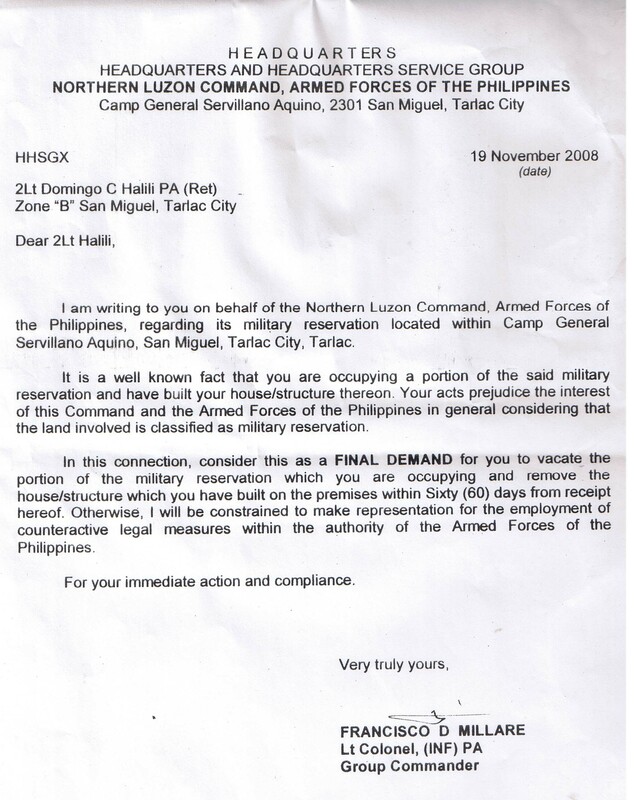 The Northern Luzon Command (NOLCOM) issued a final eviction notice which must be complied within 60 days otherwise they would be constrained to make representation for the employment of counteractive legal measures within the authority of the Armed Forces of the Philippines. This Final demand is blatantly contained in the document I scanned below. The threat of demolition is like a plague spreading in the barrios of San Miguel; Zone A, B & C. Just like my neighbors, I am trying to go over with my normal routine although I had a good laugh with my previous post but the reality will always sets in. The fear of losing our home is a daily nightmare to us. One of the residents from Zone B, a retired army had a heart attack after reading the final notice and he died instantly. A 6 by 6 truck with heavy weapons and armies was roaming the barrio and creating confusion and fear among the residents. This is a clear manifestation of harassment. This show of force is a psychological warfare which is a common dirty trick by our very own army. 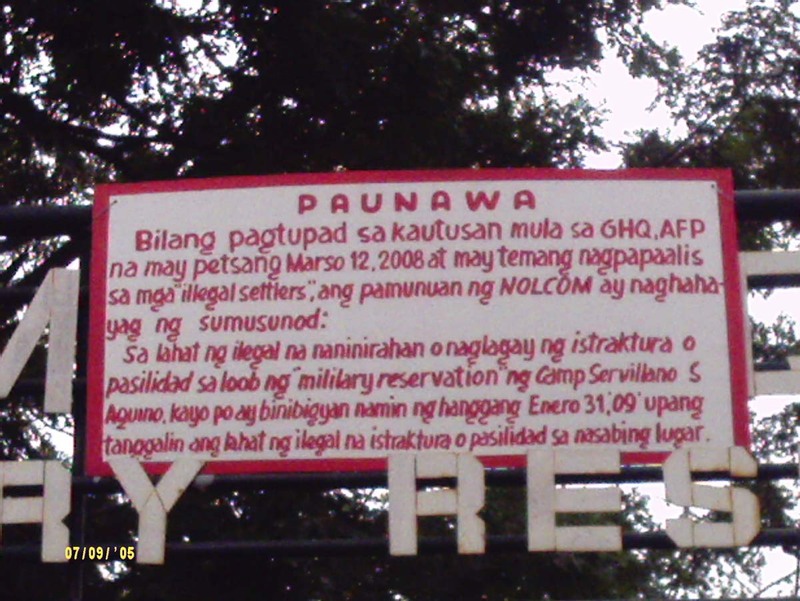 It’s really frustrating that the Armed Forces of the Philippines, the institution that is liable for the security and protection of the common Filipino is engaging in this outrageous activity. My kids are asking me; why are they doing this to us mommy? My teacher said Soldiers will protect us, but why they are threatening us? Will they kill us too? These are the simple childish question that I cannot answer. I still have to gather my strength to reckon and give the best answer that would convince my kids that the army, like my dad is a servant and protector of the people. How can a child love a government when at this early stage, they are already experiencing this dilemma? Joyce Segue, GMA reporter for “Balitang Amianan”news program conducted an interview the other day regarding the escalating issue of demolition. The newly elected association president Col Felipe Damo is instituting several options on how shall we deal with the problem, from legal battle to collective effort of the masses and the residents to defend our home physically. Our strength may not be equal to the guns and goons of the government but we will not just stand at the corner, staring at them doing nothing while they are crashing our home. A bloody dispersal that has wasted many lives at Hacienda Luisita while farm workers are waging fight for just compensation and benefits was also maneuvered by NOLCOM and now, their bloody fingers are once again thirsting for the same scenario. I am asking for your support my fellow bloggers, in behalf of my neighbors and the children in my community please help us spread this news and blog this issue. I don’t want another Hacienda Luisita tragedy. Please spare our home and the children. Eviction Letter from NOLCOM. Please click for larger view. 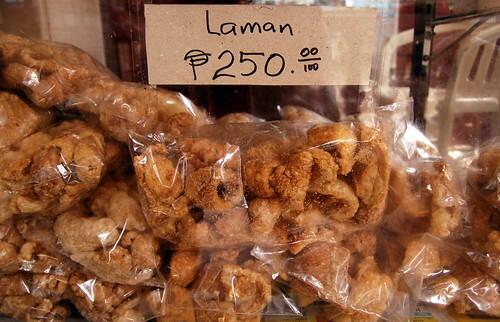 This is a funny title and I know that only my Filipino readers would understand this. Sorry guys spare me this post but this post is intended for my Fellow Pinoys and I have to use Tagalog language for this post. Bear with me, thank you! Meron kasi akong natisod na kakilala sa pamamasyal ko sa blogosper at itong tao na ito ay di na rin naman iba sa akin. Ito ay walang iba kundi si Buraot. Hanep ano, sa pangalan pa lang ang lakas na ng dating. Ei ibang klase din naman ang mga powst nya at minsang bumisita ako sa blag nya, akalain mo halos nabasa ko lahat ang powst sa blag nya sa loob ng isang araw at akoy halos kabagan sa katatawa. Abay malayo sa pangalan nya ang laman ng blag dahil talaga namang hindi ka mabuburaot na magbasa ng mga powst nya. O sige, e sya, bakit kailangan pa kong magtagalog? Ei kasi nga me pautot itong si Buraot at ako naman ay naanyayahang sumali sa pautot na ito. Abay sayang din at mejo malaki rin naman ang premyo na aabot ng $550 at katakot-takot na entrecard kaya naman kinasahan ko na din total perst taym ko lang din sasali sa ganito. Simple lang ang rules, kailaangan lang na kalampagin ang madlang blogistang pinoy na marunong managalog tungkol sa pautot nyang ito. Kailangan ding mamili kung anong powst nya ang halos magpautot sau sa katatawa at lagyan ito ng link. Buweno, mejo mahaba na itong powst at baka hulihin na tayo ng blogger pulis at wla pa atang DTI permit etong pautot ni Buraot kaya bibilisan ko na. Ang nagustuhan kong blog nya ay tungkol sa latest nyang cellphone. Bukod sa haytek talaga to abay napakagandang dalhin. tyak na hindi makakatawag ng pansin ng mga agaw-celpon. Oii! sa mga interesado sa celpon na ito klik mo to. In fairness nag enjoy ako sa paggawa ng powst na to. di ko na kailangan ng nebulizer pagkatapos mag blog di tulad ng english kelangan ko pa bumili ng ventolin nyahahaha 🙂 pasensya na guys! paminsan minsan lang mawala sa sarili ang lola nyo. O panu Buraot, bago pa mawalan ng respeto sa akin ang mga readers ko ay wawakasan ko na to at baka di lang sa hitlist malagay ang pangalan ko, baka pati yung PEDEA ay hulihin ako haha! 2. You need to choose up to ten people to be awarded and list and tag their names. 3. Don’t forget to leave them comment telling them they’ve been tagged and to read your blog (soon). • Nominate up to 10 blogger friends’ blogs which show great Attitude and/or Gratitude! • Be sure to link to your nominees within your post. • Let them know that they have received this award by commenting on their blog. • Share the love and link to this post to the person from whom you received your award. 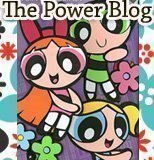 What is a blogger buddy? (IMAO) Blogger Buddy is anyone who is keeping in touch virtually and expressing warm friendship through frequent blog visit, reading blog posts and comments. Before I proceed with my new post, I want you to know that this post is beyond my tag and my theme. “A glimpse to the Pearl” as my tag line reflects my opinions and reactions about diversified issues on parenting, poverty, governance and a lot more but in the context of Philippine setting. 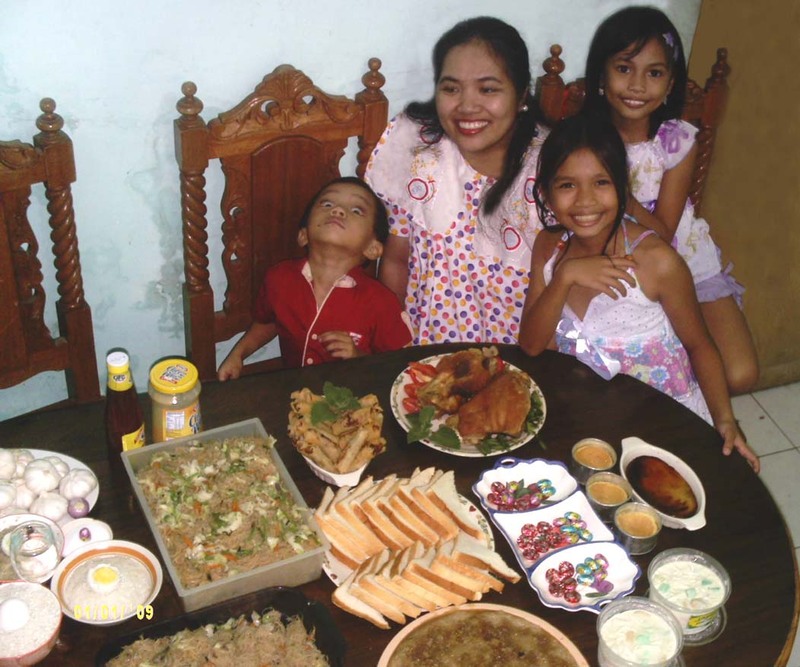 I created this blog on purpose that I want to give you a glimpse of the view point of an ordinary Filipina from ordinary family. I know that we came from different countries, beliefs, traditions and culture and knowing each others differences through personal blogging and updates creates a new community and a new world united by one concept: Friendship and sharing regardless of race, language and religion. The presidential race of the United States of America has been the center of attention of any media, be it print, radio, TV and the World Wide Web. It’s a constant topic on many class debate, talk show and even a mockery on TV sit coms and editorial cartoons. Maybe, I was the last person in the blogging world who never lifts a finger to discuss this topic. It’s not because I’m not interested but because I want to stick to my tag line and the US presidency is something beyond my tag line. But the race was over now and the champion had raised his hands at the finished line with flying colors. In this very important occasion, I want to give you a glimpse of my opinion but of course it’s still in the context of Philippine setting. America, for many is a promised land with greener pasture and vast opportunities. For this reason, many Filipinos left the Philippine soil to taste the milk and honey and to have a glimpse of snow and Hollywood as well. Some had realized their dreams but to some, America has been a big hell and nightmare. These were the people who were abused and had been a victim of crimes and accidents. America is a strong nation which has a strong clout in all aspect of governance not only in the 50 states but in the whole world as well. We are all a living witness of how America had risen itself to pedestal of fame and power but we also see how it began its journey to financial drought. Many of my American friends had been angered by political stigma which slowly shattered the American dreams. In the midst of political and economic struggle, the birth of a new fighter emerged in the arena which threatens many big and powerful Americans. It was almost a racial fight but in the end, Americans had proven once again how they loved their homeland and the hope of a new promise shines vividly in the horizon. The Clout of American control is very eminent in the Philippine government, education, culture and ways. Many Radical Filipinos had sacrificed their lives fighting for genuine freedom and democracy. I don’t know how many more lives will be wasted until such time that we are able to fill the government seat with true political leaders who will serve the Filipino people with all their mind, heart and might. I know this will still a long way out but in the meantime, I will extend my hand to all Americans and congratulate them for winning this fight. I will keep my fingers crossed and hope with them that those promises we heard will came into reality. I hope that Philippines, though millions miles away, will be able to feel the drastic change that will be executed by President Obama. God Bless our country & the whole world. 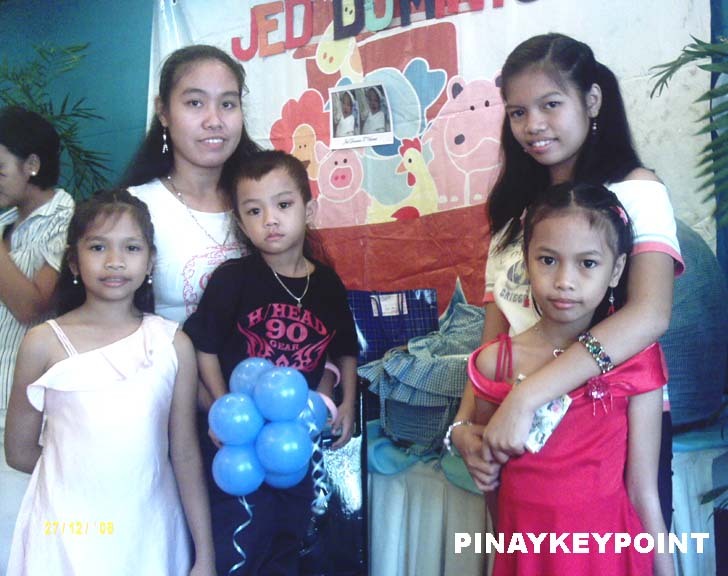 Hello guys, I’ll be busy today>>> we’ll spend the whole day at Eternal Memorial Park to visit my In-law’s tomb. Be back later with photos and a new update. 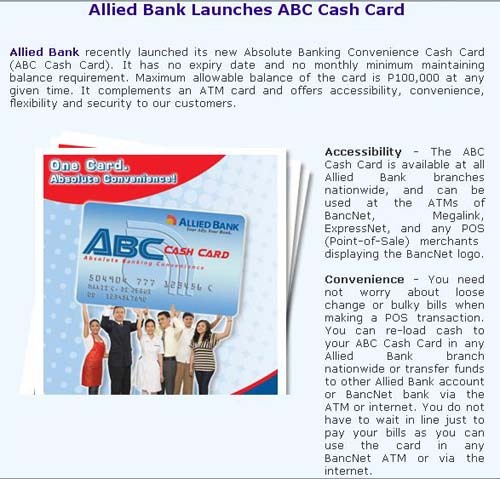 One of my most viewed post here is the PayPal Verification Process for Philippine local banks and I really have a lot of inquiries coming from blogger friends and researchers from google and other search engines who usually lands in this page. Lately, some are even asking me regarding bank deposit requirement so to add an additional info for this post, I made a quick research and get some screenshots to help you guys. To those who have no VISA or MASTERCARD credit card, I usually recommend EON because it’s the easiest way to get verified. I had a request from my regular reader who used to live in Tarlac but relocated now in Davao City. 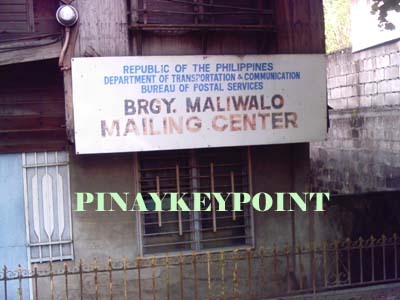 She want me to post pictures of Barangay Maliwalo and Maliwalo High School. Her last look on this place was in 1989, whoa! Almost 2 decades! So that’s Maliwalo now. Parang Nostalgia trip ha, madami ka sigurong naalala ano? Pareho lang tayo. Na mi miss ko na din ang aking homeland Bikolandia. Pero talagang ganun, maraming reason kung bakit nandito tayo sa lugar kung saan tayo nakatira ngayun. This is my second month here at WordPress. Before i moved my blog from blogspot, I have fear if I will gain readership here. I’ve stayed with yahoo and google services for many years and I never really engage myself from blogging. But in my short stay here, the response of my readers is amazing. I only plan to write at least one post per week but the active participation of my readers urge me to write more. I even find myself scooping events, taking pics and videos so I can cope up with friends and reader’s request. Private inquiries find its way to my inbox and most of all, writing jobs flourished and filled my idle time. When I finished installing google toolbar yesterday, I was even more surprised seeing a google rank of 1 considering that the birth of my blog has just arrived in a short period of time. I also have seen many sites linked to me. And for this, I want to give my sincere thanks and appreciation to my regular readers and friends who added me in their contact list and included me in their bloghopping schedules. These are the faces you often see in my widgets in my sidebar and some who requested for a link, I put their link in my side bar as well. These developments taught me how to love my blog and find ways on how to improve my page views. 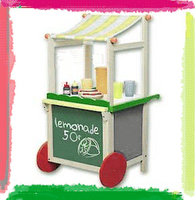 Years ago, I put my mind in learning many programs so I can start a homebase business. 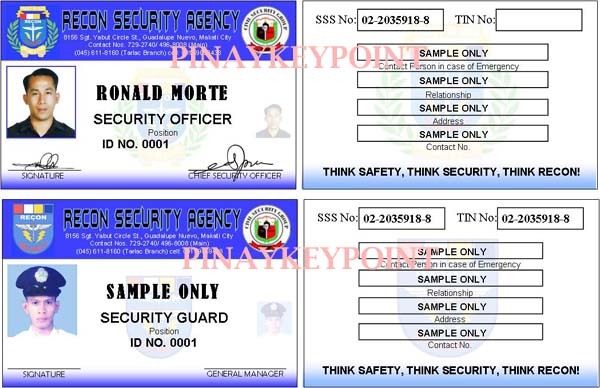 I learned all the programs needed to create company and student identification cards, business cards, tarpaulin, stickers and many printing related projects. I also learned installing biometric and school management system to some of my client who required me to setup and install those services. I learned the basics of adobe dreamweaver and flash and started designing static webpages for my clients as early as 2002. At first, I set my mind in developing my skills in web development but the fact that I’m a mommy working homebase, I can’t deal with the huge demand of my service. I can’t cope up since I don’t have employees to work with me. It’s been my dream to put up and establish an IT company but the struggle for capitalization is always there. I can’t resort to financial sharks here since I know I’ll just end up drowning with debts. But blogging find its ways to my blood. 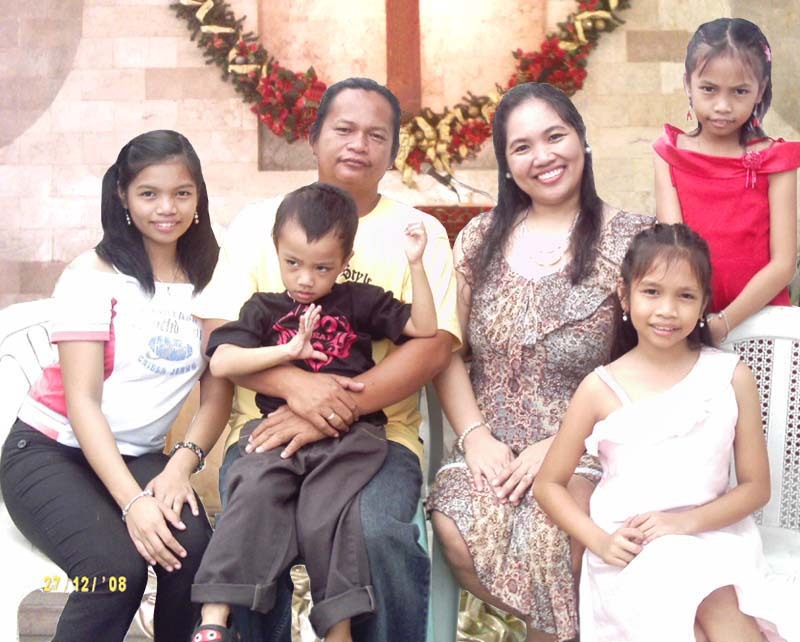 Another source of income have flowed in our hands and I am very thankful to God that in the midst of our crisis, He bestowed a fine blessings to us. I always want to share these good things to you readers so join with me as I discover ways on how to improve our blogging activities. We’re all in this together and I want you to know some of the things I did to improve our blogging skill. 1. Improve the look of your site. Make it relevant to your content. 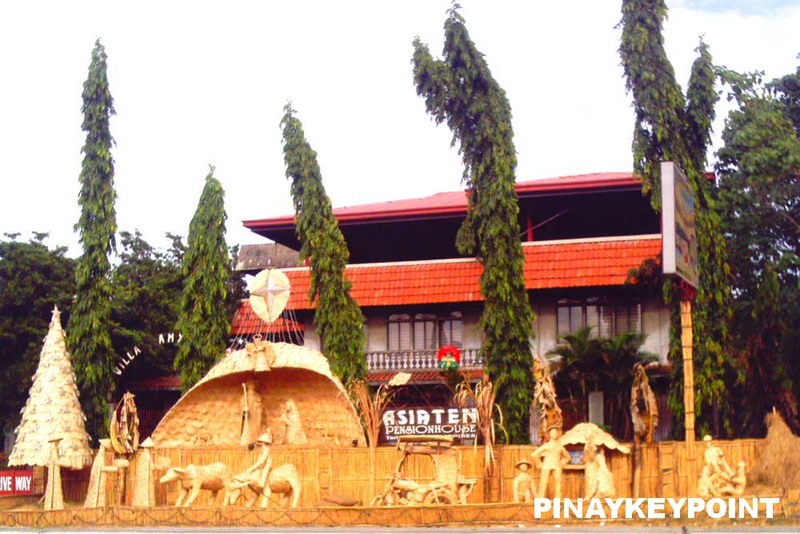 Since I am from the Philippines, I used a picture of our park, The Luisita Park in my header to conform with my title, “A Glimpse to the Pearl”. I’ve chosen this title because I want other people from other countries to have a glimpse to a Filipino way of life, not only the bad side of politics but the good heart of its citizen as a whole and the abundance that Mother Nature bestowed on us. 2. Stick to your theme. If your content is about making money, or computers, be sure that you can sustain it so reader wont get bored and will find your topics exciting and informative so reading your site will be worth of their time. Since I am not geared to a particular topic, I am trying to discuss diversified issues on governance and social issues, parenting, online earning, current events and IT related topics. I want this blog to be a magazine type not just confined in fashion and politics. 3. Try to share some useful informations. If you really want to monetize from your site, don’t make your blog just a place where you can shout your ravings and rantings. Remember, your readers have enough of their own. Of course we have the freedom to express it here but don’t do it everyday 🙂 Sharing what you learn and how you earn will be an interesting topic as it will help other newbie bloggers who are just starting their way. 4. Give a prompt response to inquiries. Give your readers a feel of your personal touch. They are happy when you personally response to their query. That will leave a mark on their mind, not just a bookmark on their toolbar. 6. Try to add some widgets to know your visitors. I joined MyBlogLog, a yahoo service which also track your visitors. It’s a cool service which gives you the opportunity to add contacts and join communities. I also joined Blogcatalog and Technorati which also offer the same service. When you avail their service, you will have the chance to monitor your visitors and readers and you will have the opportunity to communicate with them. Joining Blog directories will be a great help to increase your traffic. 7. Give some love. Visit their blogs too. Remember, it must be a mutual relationship not a one way mirror. My community member is my priority. I am doing a regular round of visit to their blogs, when I started doing this, I noticed that they are doing the same. My contact is my second priority, when I still have time, I will also visit the blogs of my contacts who are also active and visiting my blog, I am doing this at least 2 to 3 times a week. 8. Acknowledge your new visitor. When I see a new face in my widget, I usually visit their blog, say a thank you note and ask them if you could add them. That would open a way for another blogger friend. 9. Don’t flood yourself with so many ads and buttons especially pop ups. Sometimes this scare our visitors away. Try to limit those and just use the ones which is useful to you. I am creating a page intended for links so I can really have a place where I can post the links to my accounts and communities. It’s still under construction but I noticed that my visitors are clicking on that page. I realized that readers are also interested with your links and what is your favorite site. So it’s really a good place for your affiliate market. 10. Make posting a daily habit. Of course it’s a constant change, readers want to read new post everyday. Let’s try to make at least 2 to 3 posts a week. 11. Advertise your skill. Yes! why would you just let other advertiser monetize from your site? Add your own advertisement too! I have new clients when I posted my ads and services. I included the link to the fun quizzes and Odesk. This pave way to other writing offers. Employers are hiring me directly thru my blog. oDesk even sent me an oDesk T-shirt and featured my blog in their September newsletter.